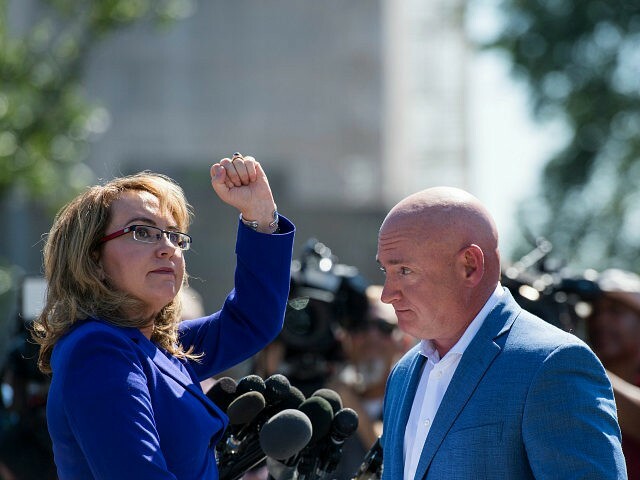 Gabby Giffords’ pro-gun control husband, Mark Kelly (D), announced he will seek to run against Sen. Martha McSally (R-AZ) in 2020. Kelly and Giffords have continued to push universal background checks in the years since, all under the guise of making Americans safer. They do not mention that the man who carried out the heinous attack against Giffords on January 8, 2011, did so with a gun he acquired via a background check. In other words, universal background checks would not have done a thing to prevent the attack from occurring.